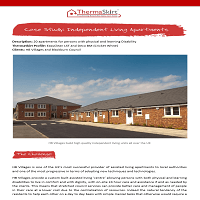 ThermaSkirt Case Study - Independent Living Apartments, HB Villages & Blackburn Council - DiscreteHeat Co. Ltd.
HB Villages is one of the UK’s most successful provider of assisted living apartments to local authorities and one of the most progressive in terms of adopting new techniques and technologies. 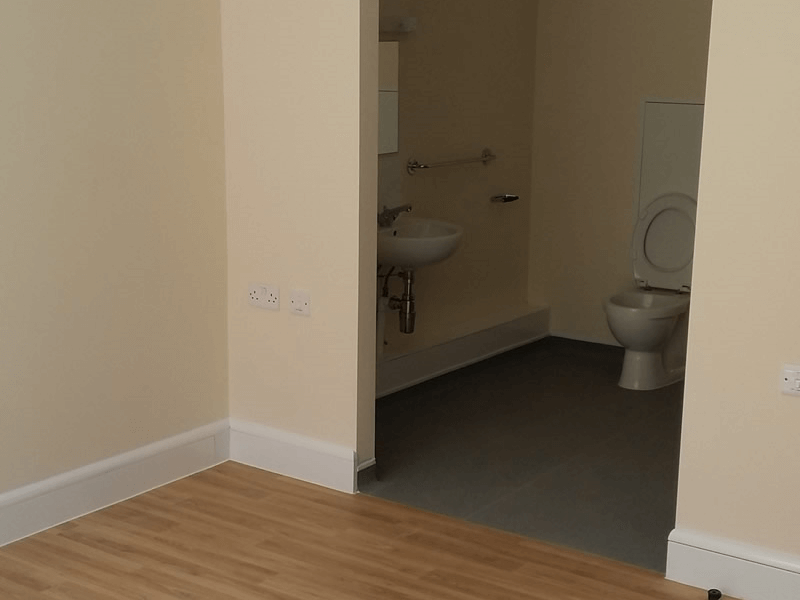 HB Villages provide a custom built assisted living ‘centre’ allowing persons with both physical and learning disabilities to live in comfort and with dignity, with on-site 24 hour care and assistance if and as needed by the clients. This means that stretched council services can provide better care and management of people in their care at a lower cost due to the centralisation of resources. Indeed the natural tendency of the residents to help each other on a day to day basis with simple menial tasks that otherwise would require a carer to travel to the clients home means that a real sense of community is established and council resources can go much further. The challenge is delivering these units on budget, and also with an accurate 20 year prediction of operating and maintenance cost that enable local authorities to invest better for the future. 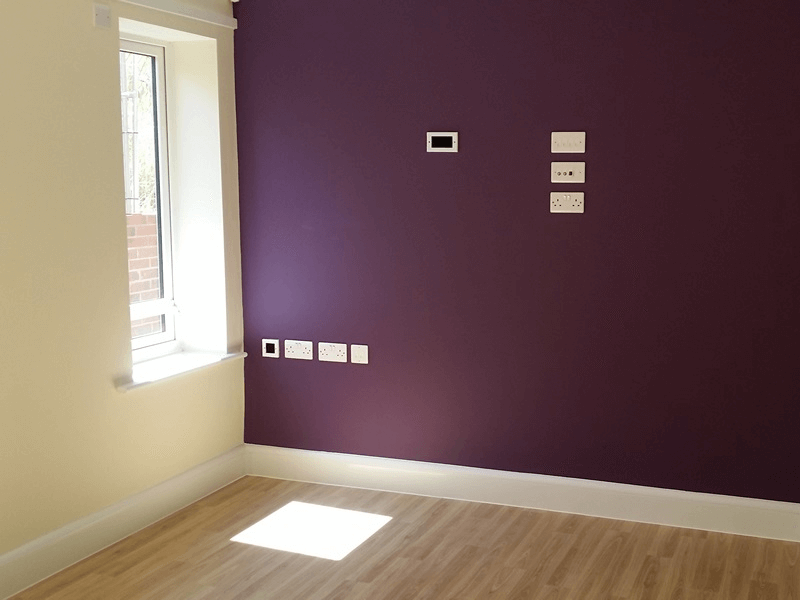 "We needed to have a very clear idea of the ongoing costs of these centres, as well as ensure we deliver a safe and comfortable environment for the residents. As some of them may attempt self harm, we have to anticipate and eliminate where possible all risks to the tenant." The use of LST radiators and their bulky covers was an ongoing issue that HB Villages were keen to address. 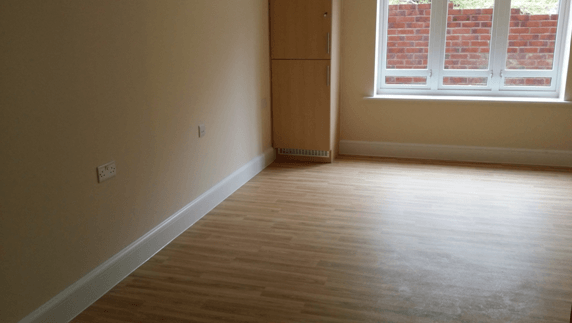 "We have had number of issues with radiators as they have to be anti ligature and so have bulky covers that not only take up valuable space in a small apartment, but are a major trip and fall hazard for our clients. In addition, if any fluids or worse are allowed into the covers, we have a major deep clean to undertake otherwise smells and infection can really cause problems and huge costs. We needed to find an alternative to the LST radiators". Initially, underfloor heating was considered, but previous experience had shown that slow response times can cause over and under heating, leading to distress to clients in many cases. 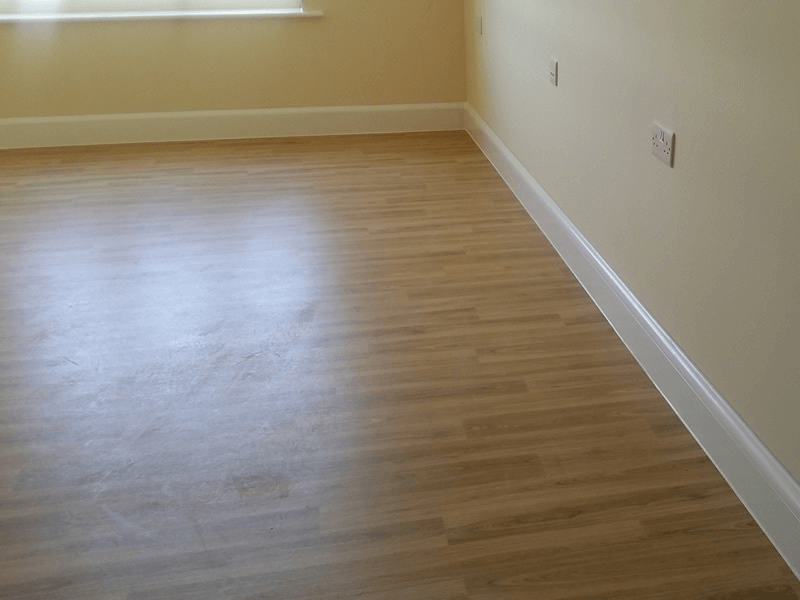 In addition the need to dry out the screed for several weeks, often by using temporary heating added significant hidden costs as well as problems with final floor finishes lifting if hurried. 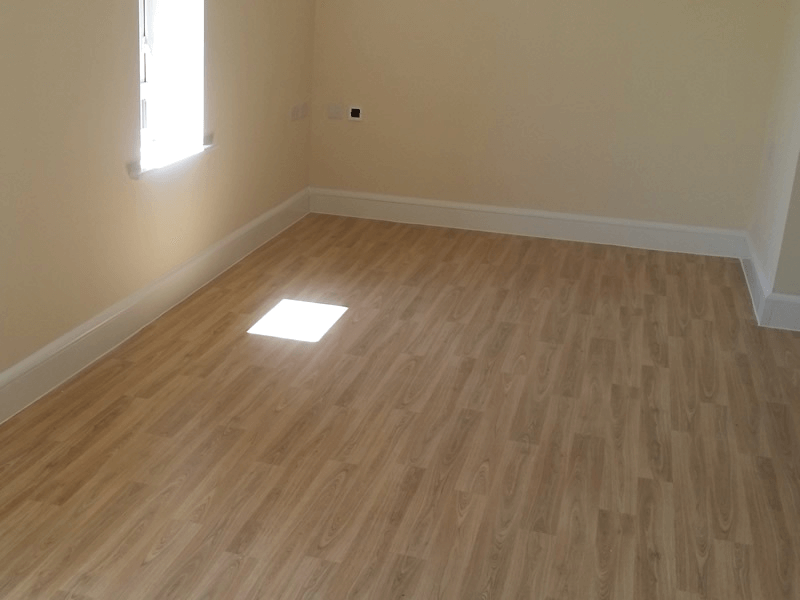 By chance, Neil came across the ThermaSkirt product whilst searching ‘alternative heating systems’ for his mother’s home that was being refurbished. ThermaSkirt replaces the radiators and skirting boards in one cost effective, energy and space saving package. He was delighted to find that DiscreteHeat had just launched their EasyClean LST version of ThermaSkirt to a very receptive NHS and HealthCare sector. After detailed evaluation of the advantages, Neil instructed their builders to swap the LST Radiators at their latest development – despite being fitted in some cases. 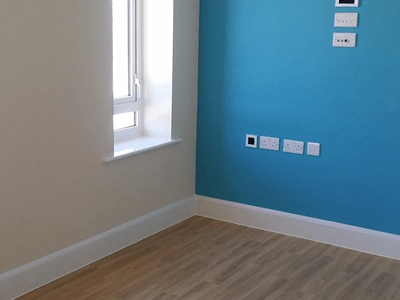 "Although the LST rads were already on site and in a few apartments actually fitted, I felt the benefits to our clients of fitting the EasyClean product far outweighed the small additional cost of swapping them out." 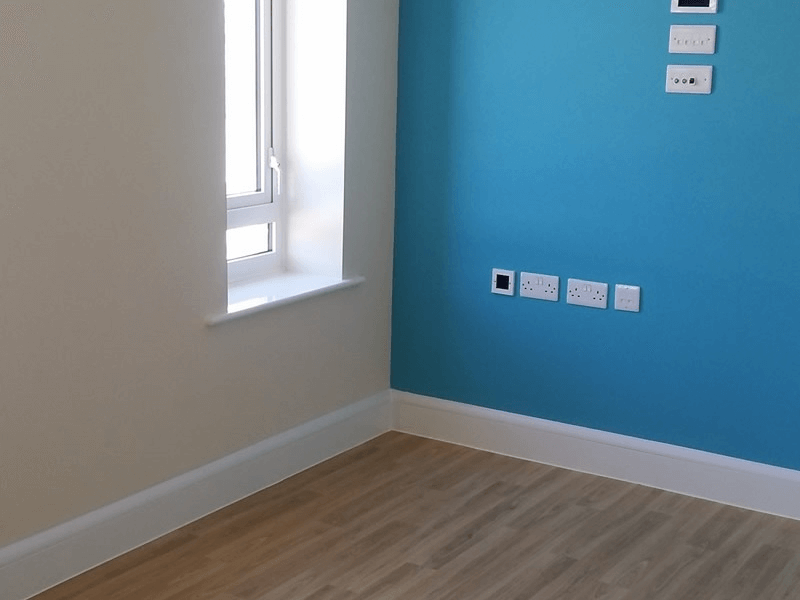 By simply moving the 1st fix feed and returns, the builders were able to install the EasyClean instead of the proposed MDF skirting and control it using the existing thermostat system designed for the LST radiators. The EasyClean (and the larger EasyClean† for larger open areas) incorporates a security top strip that is naturally anti ligature and prevents the system being removed without tools. 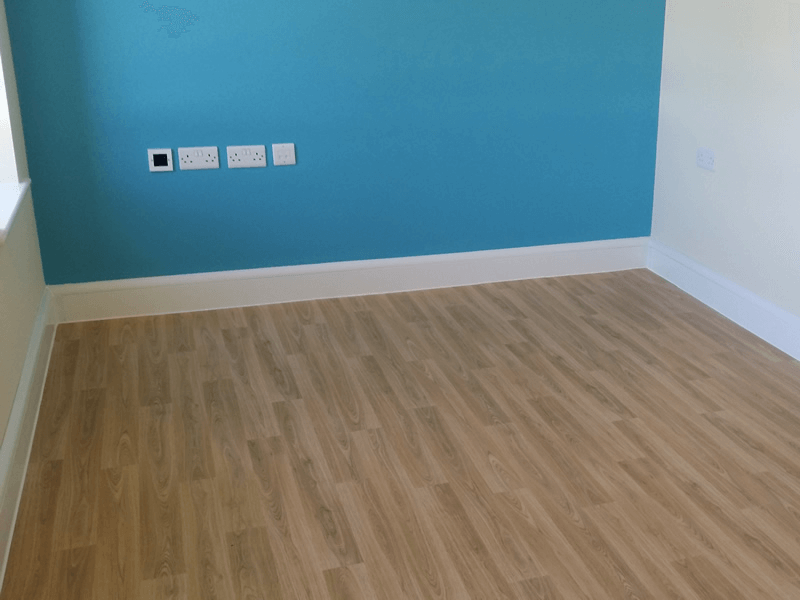 The same top strip incorporates a flexible edge that provides a seal to the walls to prevent ingress, and can also come with a bottom lip that seals the system to the coved vinyl flooring for a simple deep clean when mopping the floors. 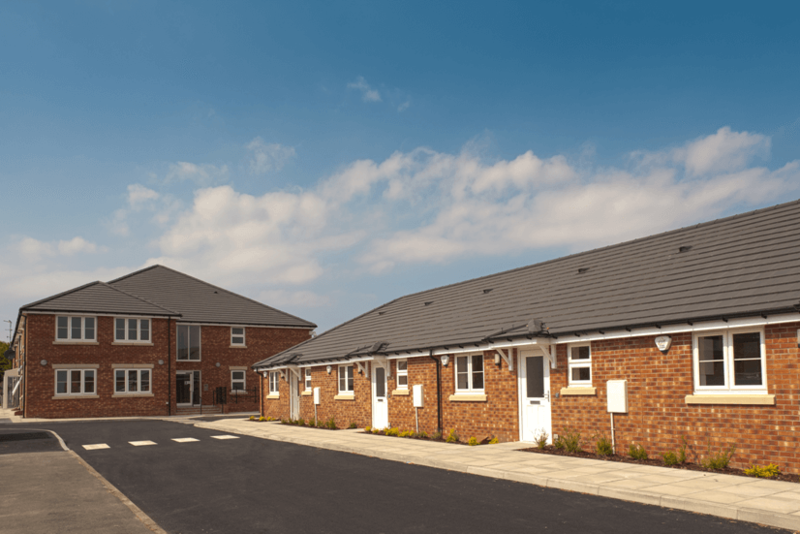 Both HB Villages and the local authority are delighted with the finished look and specification of the apartments. Running costs will be lower than with the LST radiators due to the EasyClean’s unique low temperature all around heating pattern and because the system can be thoroughly cleaned with a simple wipe when mopping the floors. "A client with learning disabilities became severely distressed and attempted to wreck his new apartment. One of the few things to survive intact was the EasyClean. If that had been a radiator it would have certainly been off the wall and the apartment flooded and out of service for weeks." 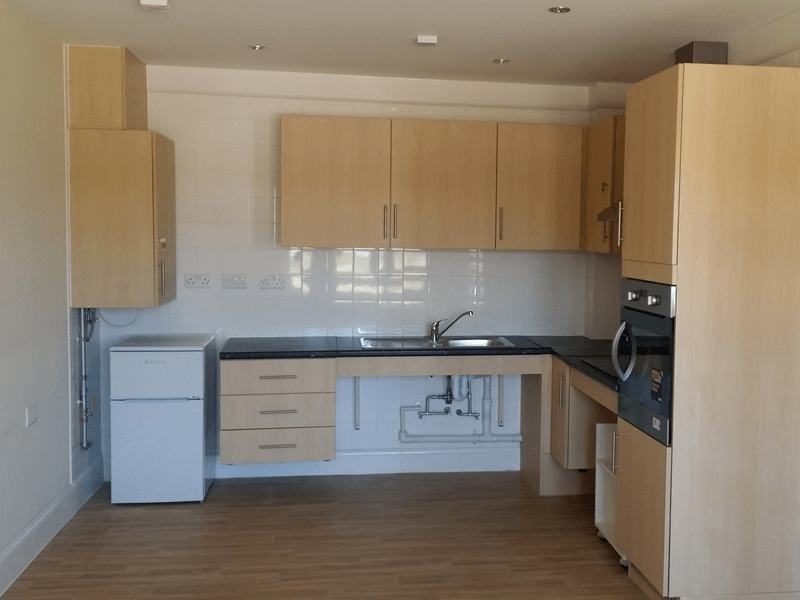 With the apartment now quickly back in full service, the centre is quickly becoming filled with Local Authority tenants, many of whom do not notice where their even, comfortable and controllable heat is coming from. 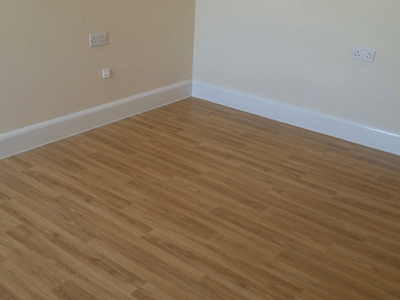 "The EasyClean has been a real find for us, and the finished look and performance just superb. As a result we are specifying it on further projects."